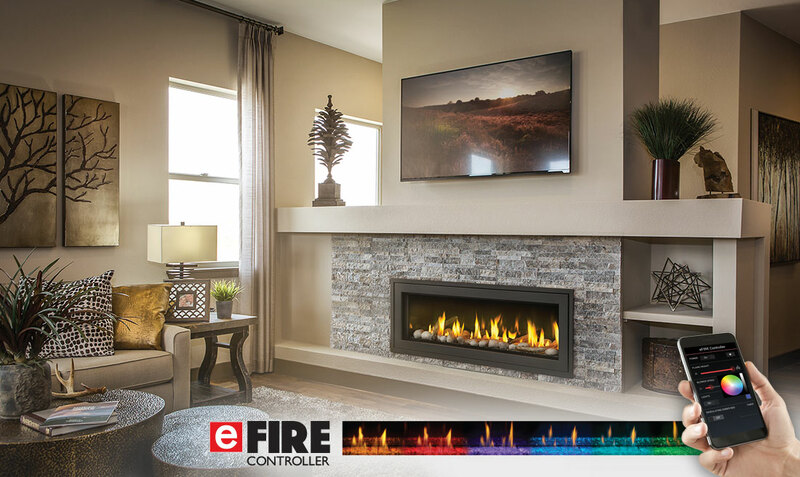 From its sleek linear design to the amazing choice of contemporary fireplace medias, Napoleon’s Vector™ 50 Gas Fireplace provides you with a luxurious fireplace experience. Enjoy the radiant glow from the standard Topaz CRYSTALINE™ ember bed or choose the option of river rocks or coloured glass. Available as a one-sided or See Thru model.